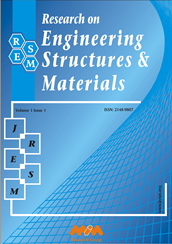 Research on Engineering Structures and Materials (RESM) publishes theoretical and experimental studies on the below stated topics. Theoretical studies are encouraged to be supported by experimental results where it is suitable. State-of-the-art papers that elucidate the current point and the advancement of special subjects are welcomed. The journal is open for short communications and technical notes that allow researchers to disseminate their findings which can be expressed in a compact manner. Discussions of papers are also published to provide accuracy and better understanding of the scientific knowledge. Submission of papers from professionals and practitioners is encouraged.